The Snake that is the aspect of the negative side, creates division and arguments between the students of Torah. The Zohar gives an example that it is like waves of the sea that come to shore and destroy what’s on their way or pull inside whatever they can grab. Stormy sea and high waves in a dream represent negativity that may come to the world or to a person. Calm sea in a dream or seeing oneself in a boat over water or even walking on water, is great and positive message. It tells about protection and high spiritual connection. The type of boat implies to the level of connection or the size of the person’s spiritual vessel. When we avoid negativity God releases the channels of Light. Rehoboth, רְחֹבוֹת, numerically 616 like the word ‘התורה’ ‘The Torah’. With the power of deep Torah study, that is through the Zohar, we can calm the stormy waves. The Torah is the aspect of light that comes from Binah and nourishes us. 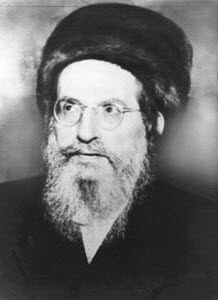 There is a story about a great Kabbalist, Rabbi Israel Abuchatzera, who is known as the ‘Baba Sally’, meaning ‘the praying father’. One time he came to Israel from Morocco by boat and the sea was very high and stormy. The people came to him and asked him to pray. To his request, they brought him wine and a cup. He made a Kiddush and immediately as he finished the sea calmed down.